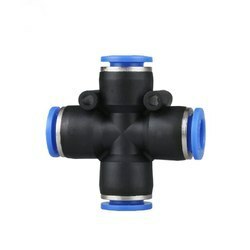 We have established ourselves as a renowned manufacturer and supplier of Union Cross. We are offering these products in variegated shapes and sizes to cater to the specific needs of our clients. We offer a wide range of Union Cross to our clients spread across the national as well as international market. 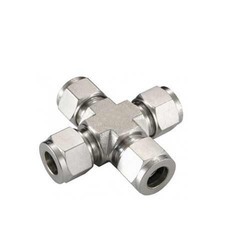 The entire range of these union cross is used to join the tube fittings from all four sides. These products are praised for thier reliability, optimum performance and low maintenance cost. Further, our clients can avail these tubes at highly affordable prices.